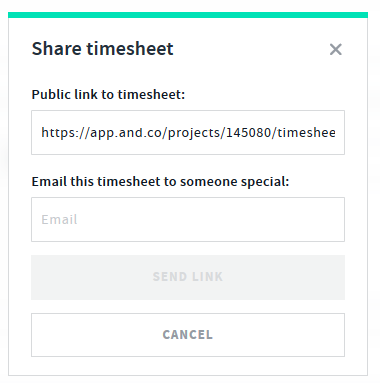 With AND CO you can share your live time sheet with your client! 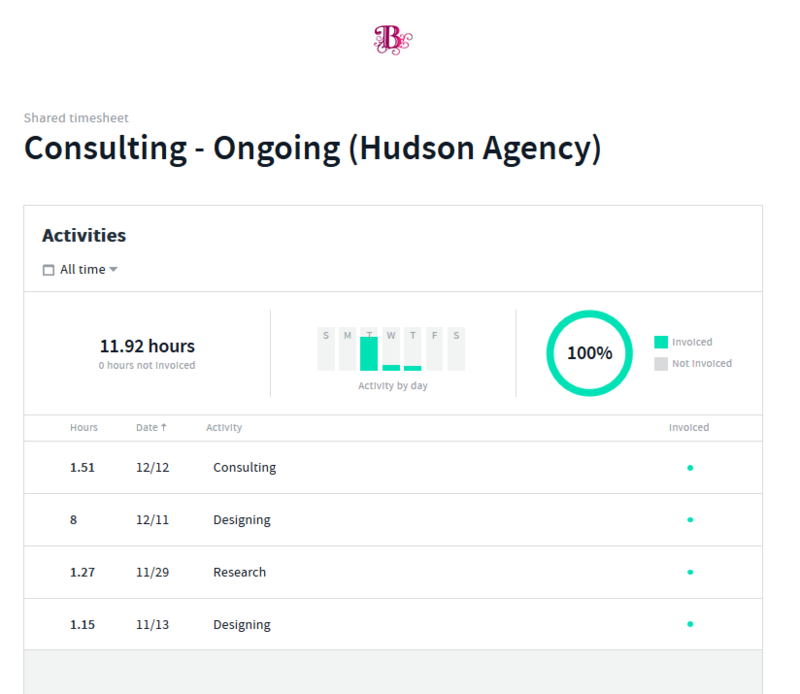 This allows your client to view your time tracked and activities at anytime by accessing the link you share with them. A pop up window will appear with your options to select. You can select to share the link or email the link to your client. 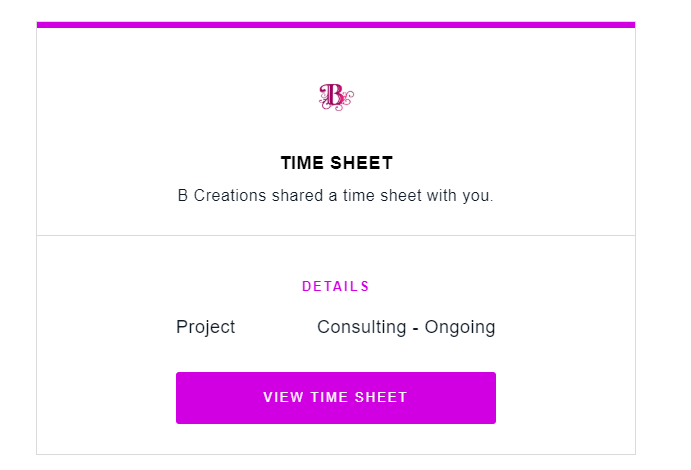 Once you have shared the link with your client they will be able to see a live view of your timesheet via the link sent to their email. Total amount for unbilled/tracked hours is also shown. 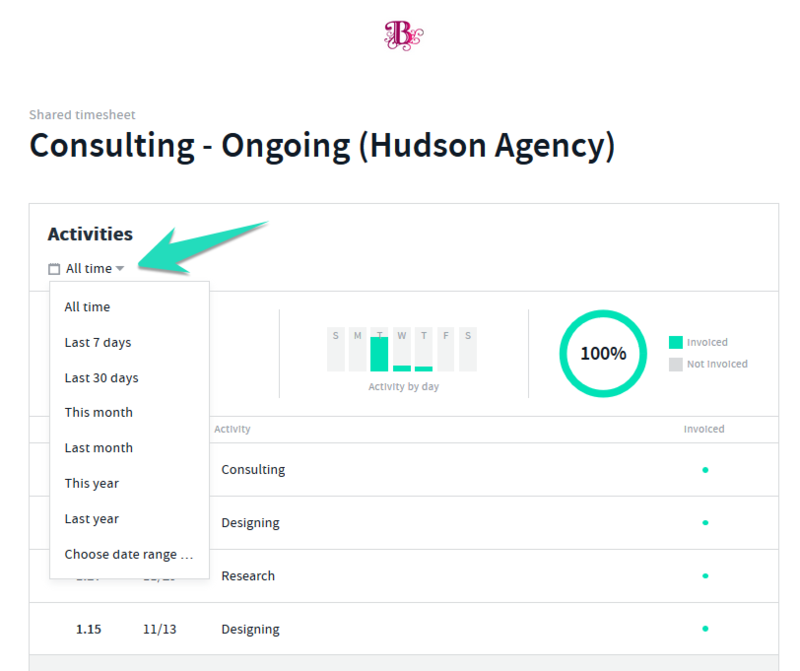 Each Time activity and description/date is also viewable.